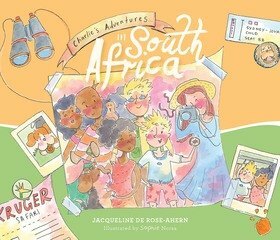 Jacqueline is an Australian author who adores exploring all the world has to offer! She is the recipient of the ACT Writers Centre 2017 Anne Edgeworth Fellowship. 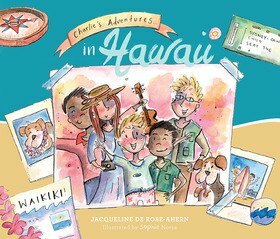 Her debut picture book, Charlie’s Adventures... in Hawaii, was shortlisted for the 2017 Speech Pathology Australia Book of the Year Awards and chosen as a finalist in the American Best Book Awards. At the heart of Jacqueline’s books are an appreciation of travel and the uniqueness of culture. She endeavours to encourage her readers to learn more about the world, supporting an empathetic and inclusive community. Jacqueline regularly contributes to a variety of online platforms including Creative Kids Tales (an industry recognised resource for children’s authors and illustrators), IT’S THE NOW (a useful and informative platform to inspire and educate those on their entrepreneurial quest) and Just Write for Kids (a supportive community for children’s authors and illustrators). She has appeared at various literary events, including the Canberra Writers Festival, the Goulburn Reader Writer Festival, NSW Kids & YA Festival and the Noted Writers Festival. She has developed a rapport with the industry both within Australia and internationally, particularly through her memberships and associations. Jacqueline currently works in international affairs and holds a Master of International Development.